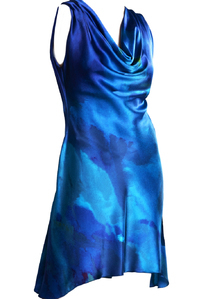 100% Silk Satin. The pattern Inspired by Javad's watercolour painting. The model is 180cm tall. Dress length is 107cm. Fits size 6 - 16.